A crown is a type of dental restoration used to fix teeth that have been broken, weakened by decay or have a large filling. The crown fits over the remaining part of the prepared tooth, making it strong and giving it the shape of a natural tooth. If you have had root canal treatment you may need a crown to protect the restored tooth. 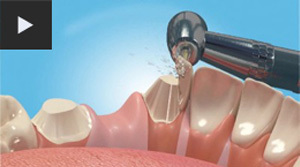 Crowns can also be used to anchor a bridge or denture firmly in place in the mouth. We aim to complete the treatment in two visits. On your first visit your dentist will reshape the tooth to allow the crown to sit comfortably over the top. An impression of your teeth is taken and sent to our dental laboratory to custom make the new crown. 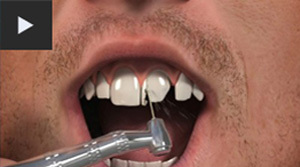 It usually takes two weeks for it to be made and during this time you will have a temporary crown fitted so that you are not left with a gap and to protect your prepared tooth. On your second visit your dentist will place the crown over your tooth to see if it fits perfectly and is the right colour and shape. Once you are both happy with the restoration and how it looks, your dentist will cement the crown firmly in place. A wide variety of dental materials can be used to make the crown for example precious metal such as gold, or an alloy of metals fused to a porcelain outer shell. All-porcelain or all-ceramic crowns are the best choice for a natural looking smile. Dental crowns require the same level of care and attention as your natural teeth. Provided you have a good oral hygiene routine and attend regular appointments with your dentist a high-quality dental crown can last many years. If you require a more extensive restoration than a crown or have more than one tooth that needs to be replaced, a good solution is a dental bridge. A bridge helps to strengthen the prepared teeth underneath and makes chewing and eating easier because they are fixed and cannot come out. They can also improve bite issues and speech problems that may occur as a result of missing teeth. Bridges are usually made of a precious metal base which gives them a solid structure and makes them hard-wearing. If you need a bridge in your smile line, porcelain or ceramic material is used to make it look natural in appearance. The procedure for a dental bridge is similar to that of a crown. Your dentist will prepare the teeth before taking an impression, which will be used by the dental laboratory to make the bridge. A shade guide is used to determine the right shade for the bridge to give you a natural looking smile. Your dentist will fit a temporary bridge so that you don't leave the practice with a gap in your smile and to protect the exposed gums and teeth. Your custom-made bridge normally takes two weeks to make. Your dentist will make sure it fits correctly, making any necessary adjustments, before cementing it in place. Bridges are hard wearing and as long as you take extra care of your daily hygiene routine they should last many years. Once you have a bridge fitted, you will have to take extra care of your daily hygiene regime to prevent the build-up of plaque and prevent bad breath. Some bridges can also be fixed to your jaw with dental implants.